Beautiful cozy and clean apartment. Calm street. Close to subway station. The apartment is directly across the street from the metro stop. Getting around the city couldn't have been any easier. The apartment was cute and cozy. The apartment was in a quiet neighborhood with lots of restaurants and a market right around the corner. The metro station was about 50 feet from the door, super convenient. The room itself had comfortable beds and full sized bathrooms. The location is amazing, our apartment had a view of the natural history museum and is across the street from a great park. Loved being able to see all the old bones! This was a fun part for my 4 year old daughter too. There are great restaurants in the area. 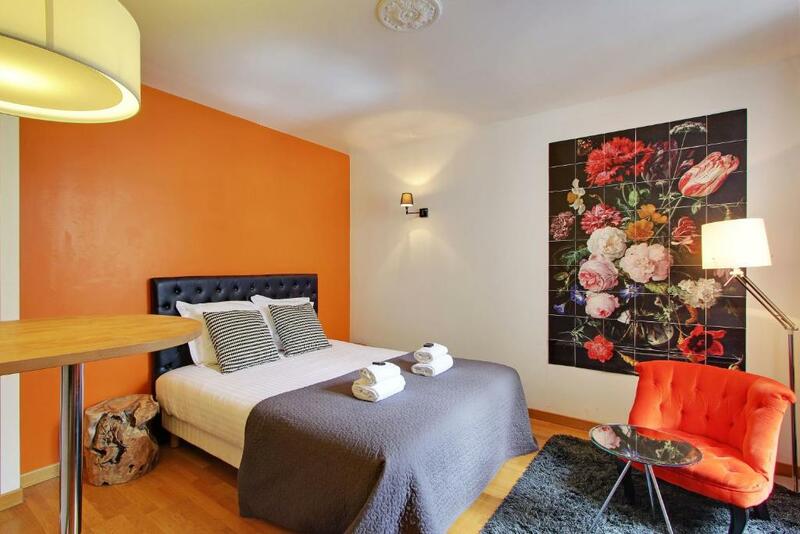 This was an attractive contemporary studio apartment conveniently located to bistros and shops, the Metro station, museums and other Paris attractions a block away from the Seine river. The bed and pillows were exceptionally comfortable. The staff was excellent, very professional, courteous and helpful! We loved our stay in Paris! Very strategic location, easy metro access to everything in Paris. 5mins walk to Mcdonalds if you need some quick snacks, 7mins walk to other bars/restaurants. Around 10mins walk to the nearest convenience store (bonus: cheap). The apartment was very clean, the beds were comfortable. location of the apartment and connectivity was really good. The apart was well equipped and very comfortable. They have provided all basic amenities. There are many good restaurants near by, few open till midnight and a super market as well. The station is very close too. the neighborhood is quite and pleasant. The location is great, right at the bottom of the rue Buffon, across the Natural History Museum Paleontology building with a view on the fossils! The apartment is roomy and the Main Bed is comfortable as well as the convertible sofa. The company managing the whole building is very pro and everything from key pickup to leaving the apartment is a breeze. Near the museum,restaurant, garden, and train station. 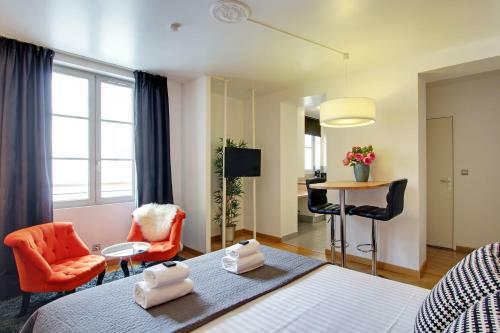 One of our top picks in Paris.On the left bank of the Seine, Short Stay Apartment Museum View is 150 feet from Jardin des Plantes. 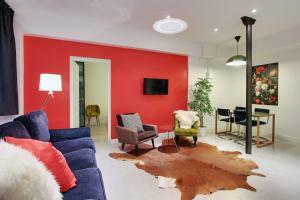 It offers meal preparation capable apartments and studios with free Wi-Fi access. Austerlitz Train Station is 650 feet away. Ironing and coffee-making facilities are available to use, and free tea, coffee and sugar are also available. Lots of local cafes and restaurants can be found within walking distance of the property. Only 2 miles from Notre-Dame Cathedral, Short Stay Apartment Museum View is 4 miles from the Eiffel Tower. It is serviced by Metro lines 10 and 5, and public parking is available nearby for an additional charge. 뀐 Located in the real heart of Paris, this property has an excellent location score of 8.5! When would you like to stay at Short Stay Apartment Museum View? Providing free Wi-Fi access, these studios are individually decorated and offer views of the National Natural History Museum and includes a bathroom with bath or shower and a kitchenette with microwave, coffee machine and fridge. 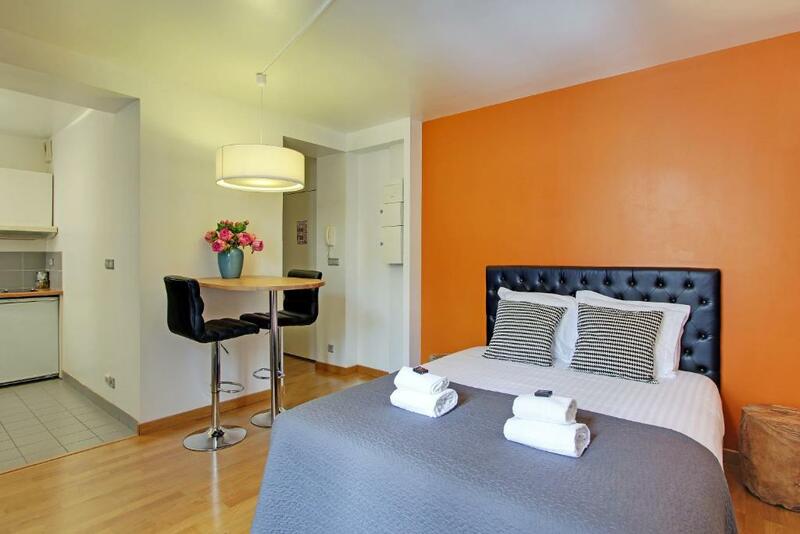 Providing free Wi-Fi access, these studios are individually decorated and include a bathroom with bath and shower and a kitchenette with microwave, coffee machine and fridge. These studios are located at the back of the building. Providing free Wi-Fi access, these apartments are individually decorated and some apartments offer views of the National Natural History Museum. They include a bathroom with bath or shower and a kitchenette with microwave, coffee machine and fridge. This beautiful, classically furnished apartment allows you to completely relax after a busy day in the city. The calm white walls in the apartments are contrasted by brightly colored walls and furniture that relax instantly and inspire endlessly. 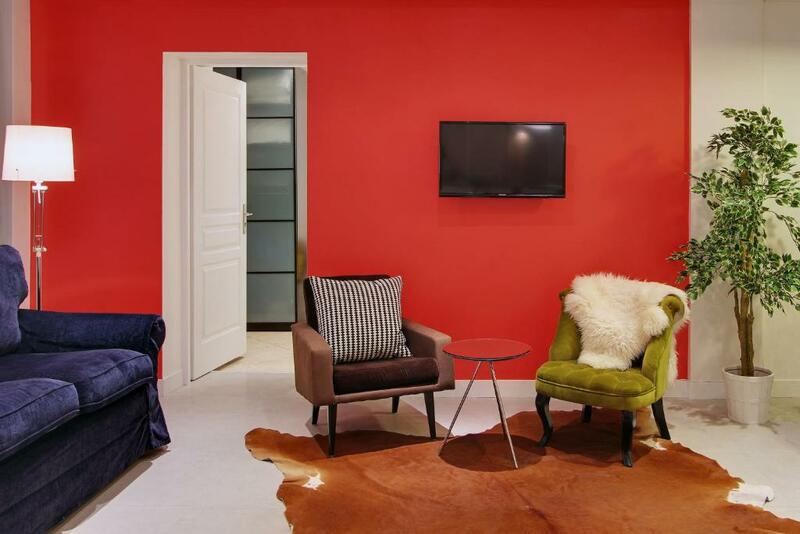 Located in the center of Paris, near the beautiful floral park Jardin des Plantes, staying in this apartment will give you the complete, authentic Parisian experience that you will never forget. Short Stay Group offers a homely welcome to corporate and leisure travelers looking for an alternative stay in the vibrant centre of Paris. 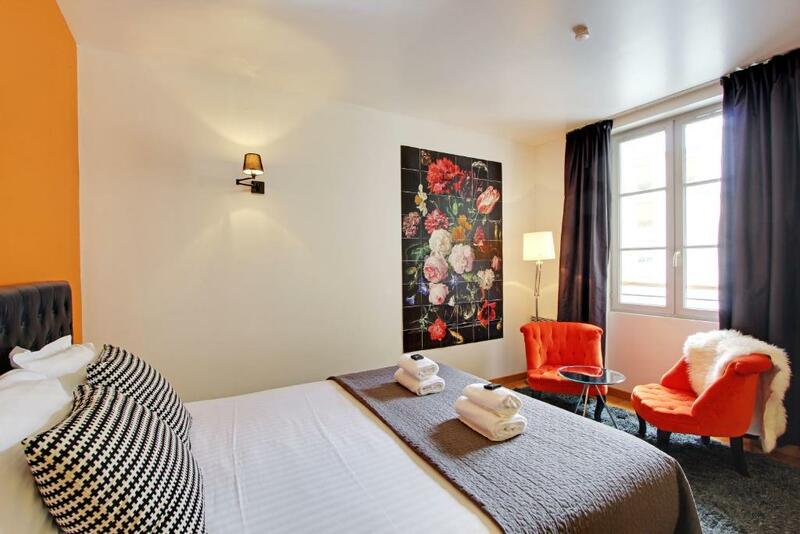 This apartment is located next to the botanical gardens and is close by the Saint Germain des Pres district. Boulevard Saint Germain is filled with chic boutiques. Lots of local cafes and restaurants can be found within walking distance. The Austerlitz Train Station is just 200 metres away. House Rules Short Stay Apartment Museum View takes special requests – add in the next step! Short Stay Apartment Museum View accepts these cards and reserves the right to temporarily hold an amount prior to arrival. A baby cot for a child up to 2 years old can be accommodated with a EUR 40 extra cost per stay. Please note that there is no reception. The property will contact you after the reservation with detailed check-in information and contact details. 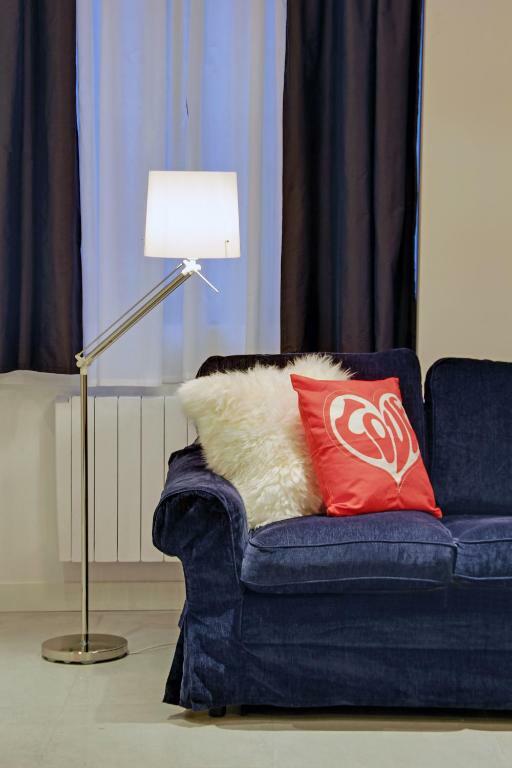 If you wish to check-in directly at the apartment, the property will charge an extra EUR 35 fee. Please note that credit card details are only required to secure your reservation. After reservation, the property will send instructions for payment via a separate e-mail address. Please inform Short Stay Apartment Museum View of your expected arrival time in advance. You can use the Special Requests box when booking, or contact the property directly using the contact details in your confirmation. 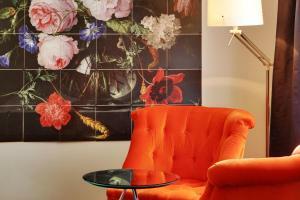 Please note that check-in and key collection take place at: 2, Rue Sainte Elisabeth, Paris 75003. Everything was fine, but don't call the apartemente "museum view" - it does not hav a view at all. And please clean up outside the front door - make it a bit nicer outside. It's abusive to ask clients to go pickup the keys in the north of Paris or make them pay 35 euros to have it delivered at the apartment. It's very complicated to deal with that when you're traveling with luggages especially by train. You can either decide to pay 35 euros or waste about an hour of your day to go there depending of where you where before. Also, there could be hangers in the toilets to hang toiletries etc...and something to hang the coats in the entrance. The staffs are very friendly and helpful. I forgot my ring in my room but they help me find it. Shower head wasnt great, but nothing worth complaining about. Easy access to Metro, location was great. This is exactly as described, good value accommodation but not 5 star! Fridge, hairdryer, iron all the usual necessities. Bath was repaired but not very well so spoilt the overall look but this was the only fault in the apartment. Superb location across from station and metro. Apartment faced the natural history museum which was lit up at night and stunning! Comfortable bed and good facilities. There was nothing really that was a problem if you were prepared to walk a bit. Good value for money, helpful friendly staff, clean. Bathroom was not so clean as wanted. The keys should be taken in another place. Location is good, near the beautiful 'park'. All stuff for kitchen was there. It was clean spacious and very quiet. No swanky view sadly. Excellent shower. Comfy bed. Efficient heating Good kettle and microwave. Ideal place to sleep and prepare breakfast. Superb location. The office is easy to find and I could check in early. It is a little shabby but so what. It was nice not to be in a place full of IKEA furniture and twee notices. It was plain and simple. As a single 61 year old solo female traveller, I felt very safe. I would definitely come back. The apartment size is suitable for solo travelers. There isn't much room for more. Thankfully the two of us packed light. I really didn't like that the main office isn't anywhere close to the actual apartment. The time it took to get from the train station to the office and then to where we'd be staying took 2+ hours (protests in the streets made the process even longer). Staff at the short stay group where you go to pick up your key were fantastic! So friendly and helpful. The room was very clean, had everything you could need and had views into the natural history museum! They also let you leave your bags at their offices before and after your stay. Only 1 hand towel and 1 bath towel per guest per week. Room is serviced every 7 days for free otherwise you have to pay. The remote on the tv didn’t work well and there is no clock anywhere. Toiletries provided are pretty basic. There were some problems with the check-in organisation. The place is very nice and clean. It is very quiet. The kitchen is well equiped, the bathroom is big and clean. Could’ve included 2 pillows per person.